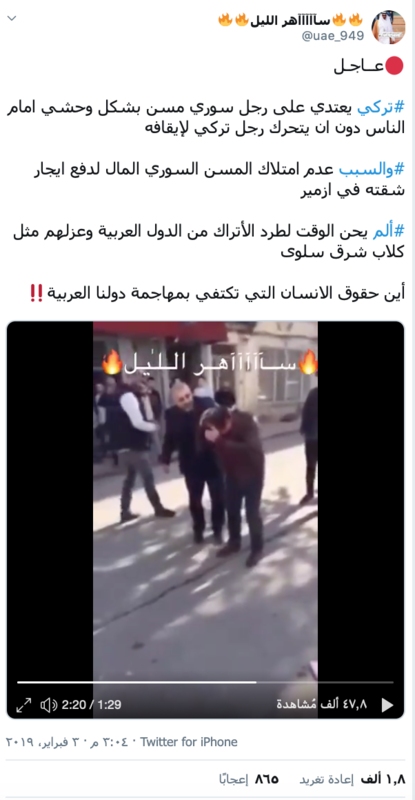 Social media news pages and personal accounts shared a video showing a man, who speaks Turkish, is assaulting another man in the street. The pages and accounts said the assaulted man is an elderly Syrian and the reason for this assault is because the elderly Syrian didn’t pay the rent of his house in Izmir, Turkey. Verify-Sy searched for the source of this video and it turns out it was posted on YouTube on March 2017 under the caption “assaulting an ex-Security officer affiliated with Gulen Movement in the street”. 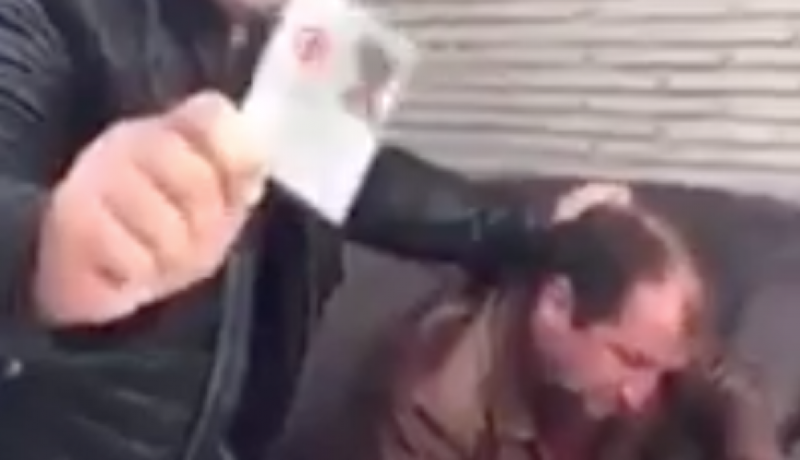 Verify-Sy translated what the man was saying which included swears against the victim, the man claimed the victim is connected to Gulen Movement which is accused of being behind the failed coup in Turkey in July 2016. 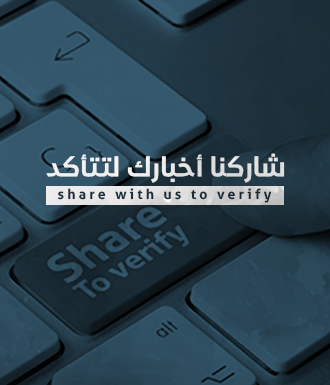 Verify-Sy couldn’t uncover the person who was assaulted due to the video’s low resolution, however the video doesn’t show an assault against a Syrian man.